It's not a secret that I love a spot of shopping. Autumn is my favourite season from a fashion point, and also shopping for Darcy is much more fun than shopping for myself. Here are a few of my favourites that I have found on Espirt. Now that it is getting colder D is in need of a new coat. I'm going to make the most of her not having to keep to a strict uniform by getting her a bright coloured coat. I think bright and quirky designs really suit her personality. How lush is this gold coat,? It looks so warm and cosy and I love that the hood is detachable. I am working on creating a capsule wardrobe for her,as this will cut the amount of money I spend on clothes. I have a habit of buying anything that catches my eye, as I know it will look cute on her and she just has to have it. even in reality she doesn't. Plus with the rate that she is growing at the moment I'm having to replace her clothes al the time. Her capsule wardrobe will have about 15 - 20 every day items. Which I will top up with around 5 new items per season. I'm so envious of her wardrobe and I would totally squeeze into them if I could. 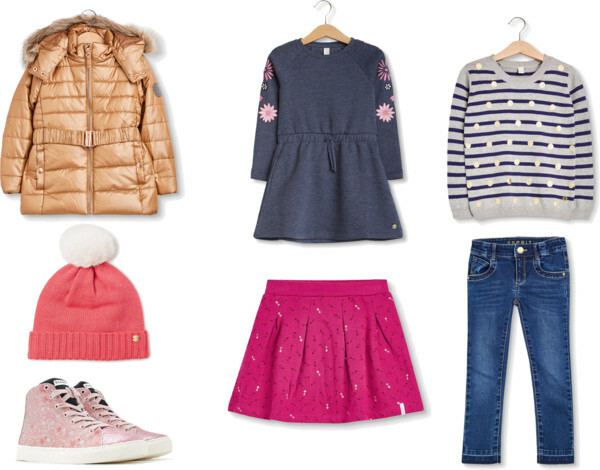 What are you planning on buying your little one this autumn?